I am a popover nut. I will actually forgo the main course of a meal in order to fill up on popovers because everyone knows they taste best when they’re HOT OUT OF THE OVEN. This recipe yields 6 popovers and uses only ½ cup of Amish Friendship Bread starter. 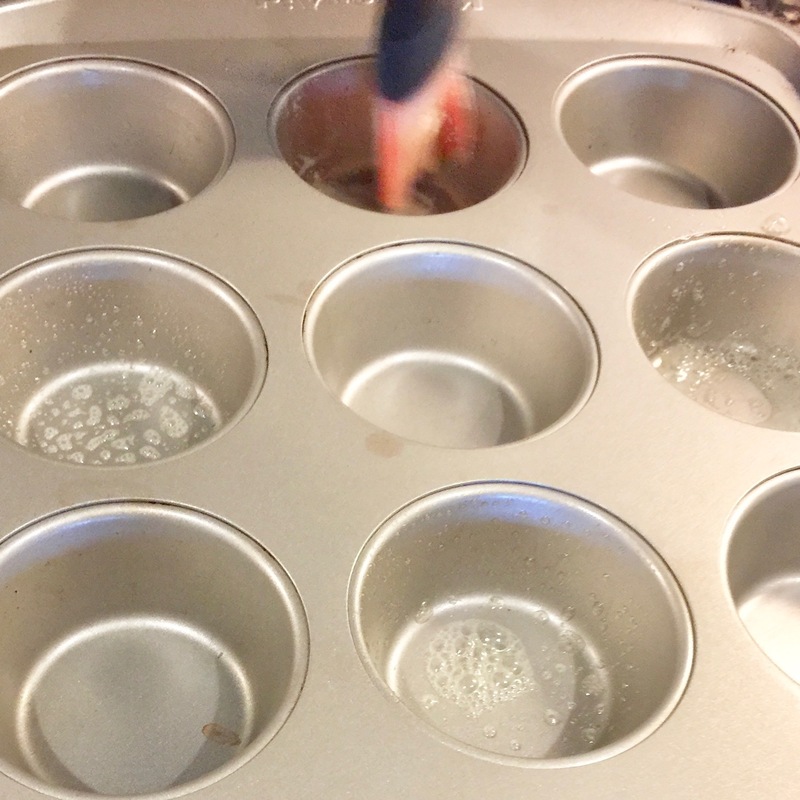 I used a regular muffin tin and filled every other cup, but real aficionados prefer a popover tin like the one I’m giving away below, which leaves plenty of space around each popover (this mini popover pan is pretty cute, too). 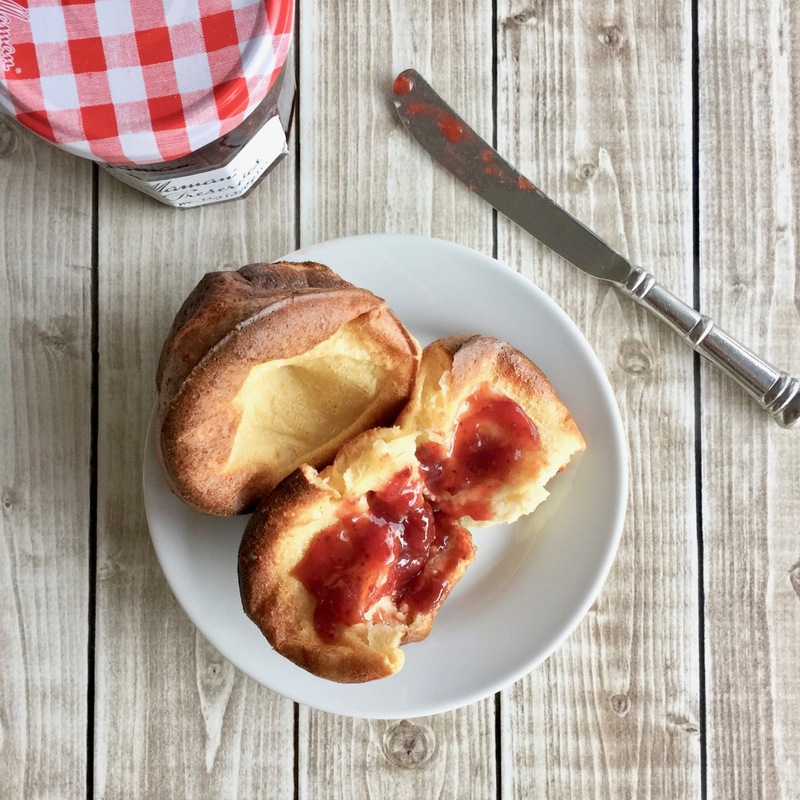 The trick to successful popovers is having everything ready. The ingredients are simple: starter, milk, eggs, salt, flour–but temperature control is paramount. The milk needs to be warm to the touch (above room temperature but not hot), and you’ll need either nonstick spray or melted butter ready. Also, the muffin tin (or popover pan) needs to be warm BEFORE you add your batter. Heat the muffin tin first. You can place it in the oven while it’s preheating at 450° F, then go ahead and make the batter (recipe below). Be careful not to overmix. Have your nonstick spray or a silicone/wooden brush with melted butter ready (I’ve tried this without oiling the tins and sometimes they don’t pop out as well). Carefuly remove the hot pan from the oven and quickly spray or brush each cup with melted butter. Quickly pour batter into muffin cups until ½ to ¾ full. Carefully slide the tin into the oven. Bake for 10-12 minutes, then reduce heat to 350° F and bake for 10 more minutes or until popovers are golden brown and crusty. Remove and make a small slid in each side with a sharp knife. Serve immediately. It’s great alongside a soup, salad or main dish–or grab some jam or jelly and enjoy. Don't let your starter go to waste! These Amish Friendship Bread Popovers are a great accompaniment to a hearty meal or alongside a salad. Preheat oven to 450° F (232° C). Place muffin or popover tin inside. In a small pan, warm milk. In a medium mixing bowl, combine starter, milk, eggs and salt. Add flour until just incorporated--a few lumps are okay. Be careful not to overmix. 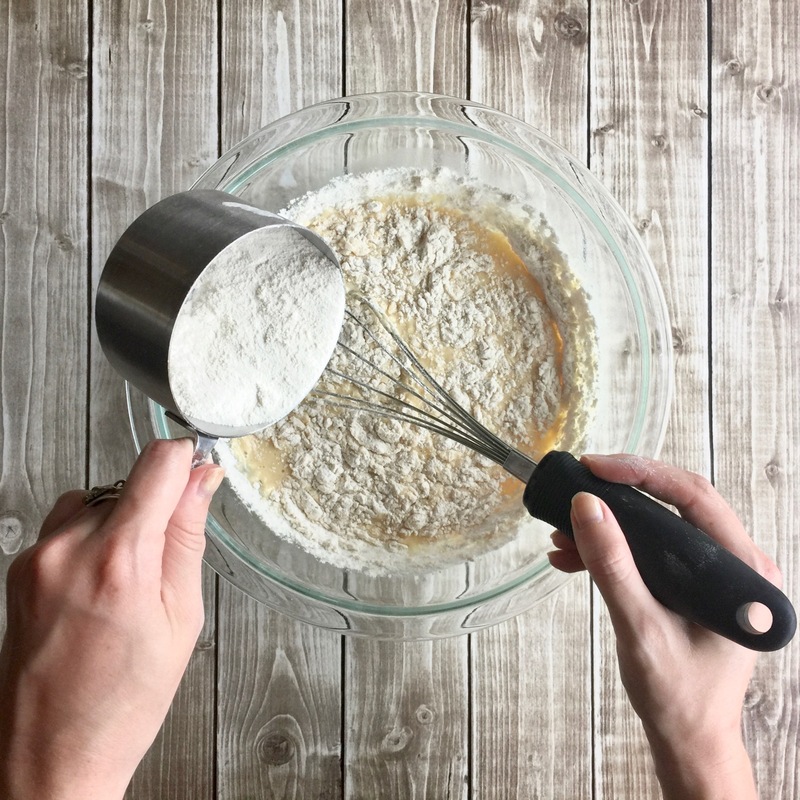 Carefully remove muffin or popover tin and brush with melted butter or use a nonstick spray. Quickly pour batter into every other muffin cup (or, if using a popover tin, fill every cup). Fill to ½ full. Return to oven and bake for 10-12 minutes, then reduce heat to 350° F (177° C) . 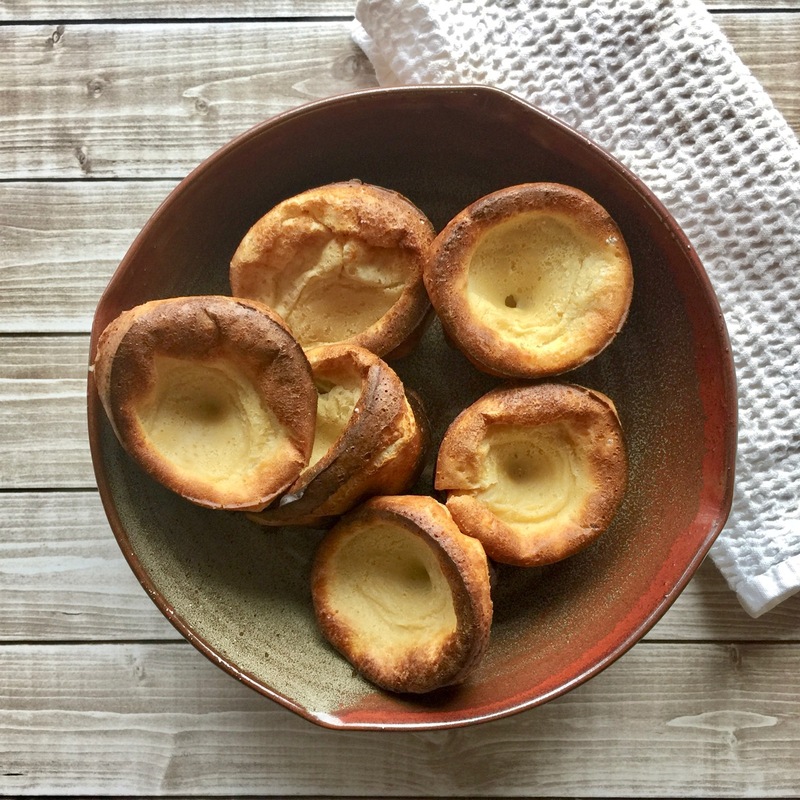 Bake for an additional 10 minutes or until popovers are golden brown and crusty. Remove from oven and make a small slit on the side of each popover. They'll deflate a little bit. Do not open the oven door while popovers are baking or they might collapse. For cinnamon-sugar popovers: Melt ¼ cup of butter and prepare ¼ cinnamon sugar. Immediately after removing popovers from oven, brush each popover with melted butter then roll in cinnamon-sugar. For cheddar-herb popovers: Mix 2 teaspoons dried herbs or fresh chives and ⅓ teaspoon garlic powder to the flour. Prepare batter, folding in ½ cup grated cheddar towards the end (be carefully not to overmix). Follow instructions for baking. And (drumroll), I’m giving away this Bellemain 6 Cup Nonstick Popover Pan. From now until 11:59 pm PST, November 17, 2017, US only. Good luck! Thank you for the full instructions on making popovers. I’ve never made or eaten popovers. I’ll have to give it a try. I have not tried popovers yet. But, I’m looking forward to it. I am always amazed at the variety of treats that can be made with friendship bread starter! But I really love the savory options, they are extra special. Would love to win this pan! I would like to see a tutorial on how to use the popover pan! Hi Beth! It’s the exact same process as above except you can fill every cup instead of every other. Also, the manufacturer of this pan says you don’t need to butter or oil the cups, which saves an extra step. Good luck! I need a refresher course on bread making in general using the starter. I love the savory uses for Amish Bread! I already know I love the sweet breads and all of my friends and family look forward to the holidays. Would love to win this pan! Have tried many of your recipes and have enjoyed them all! My young Grandkids love th lemon cheesecake bread the best! Would love to win. I have never made popovers nor eaten them. Thanks for the chance to win. I hadn’t thought about popovers for years! What a great use of Friendship Bread Starter! I’d LOVE to win that cute pan! Great idea, especially with winter on it’s way .. popovers will warm your soul! I LOVE the friendship bread… but never thought about doing the “muffin” style. Thanks for sharing – Im going to try this! I would love to see recipes made with Splenda. I would also love to see if there are any low carb recipes available! Really would love to win the pan.I bought the Cook book and my whole family loves all the Amish goodies I make them now.Thanks so much for all the great delicious recipes. Is there a low carb friendly AFB starter? This is the first article I’ve read. Hope to see more. Can’t wait to try this. They look delicious. I cannot wait to try them! Another great recipe, I can’t wait to try this out. I would like to learn how to make the starter from scratch. I received a bag of starter from a neighbor. These look amazing, I’d love to make them. I don’t know of any Amish recipes! Can you add dried fruit to this recipe or would it be too heavy? Would love to try this pan! Hi Kathy — I think it would be too heavy — these guys are pretty light/fluffy, but you can always try. I would start with either ½ to 1 teaspoon, diced. Let me know if you end up trying this and if it works out! We use a dinner roil recipe for pizza crust when we want a fluffy, thick crust. I bet the Amish friendship bread could be tweaked to make a great pizza crust. Hi Tim! We have a good pizza crust recipe here using the starter: https://www.friendshipbreadkitchen.com/afb-pizza-dough/. If you have any tweaks or come up with another Amish Friendship Bread variation, let me know! I love friendship bread although I haven’t had it in years, so glad to have found your website! I love Frienship Bread but have not had it in a long long time! I’m glad I came across this site. I’d love to see a dense almond cake, almost like a marzipan cake. Wow, now that’s a challenge! 🙂 Have you tried our Amish Friendship Bread Stollen recipe yet? https://www.friendshipbreadkitchen.com/stollen/. I’ve never made Amish friendship popovers and I would love a to see a video tutorial on them. A live video would be fun, I’m sure. My college roommate and I used to keep a friendship bread starter going that she’d gotten from a friend. I just started a gluten free and dairy free starter and today is my first baking day. Gluten-free bread is super expensive and my partner has Celiac’s so I’m trying to get a good bread baking routine going so that we can save some money. I’ve always loved baking, but it’s been a few years since I made popovers! Would love the excuse to try them again. You have quite the selection of recipes. With that said, waffles or pancakes would be fun to make with the friendship starter. This is my first time on your site and I’m so excited to find out about all the different ways to use the starter. I made the Friendship bread years ago for friends and a holiday church fundraiser, and am looking forward to doing it again this year. This time I’ll try out some of your recipes and add a variety to the sale! before but looking forward to trying, Even if I have to use the muffin pan I’ll let you know how it goes! This is my first time to your site and I have to say it is great. I have never made popovers before nor have I eaten them but your recipe has me wanting to make them soon. Thanks for sharing and having this giveaway for this great pan. Any of them. I love all their foods.